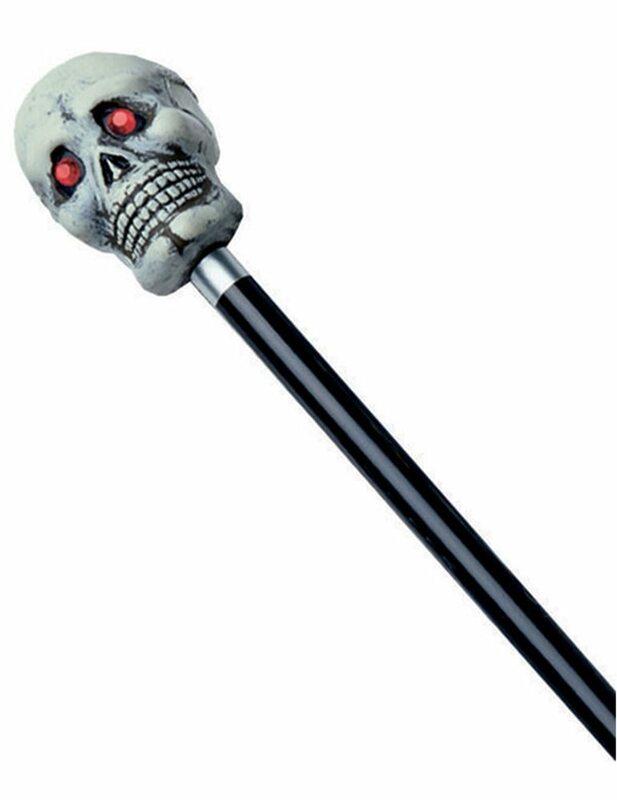 48in Skull Cane.Includes: One 48in Skull Cane. Dimensions: Approximately 48 inches Long . *Costume and Accessories Not Included. Sold Separately. Features one molded gothic skull head with jeweled eyes and hand printed details. Includes: One 48in Skull Cane. Dimensions: Approximately 48 inches Long . Features one molded gothic skull head with jeweled eyes and hand printed details.